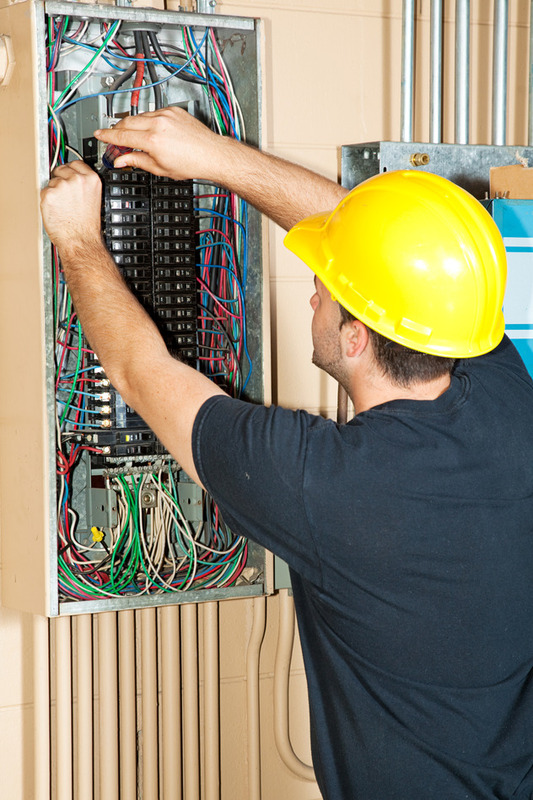 It might not seem like a big deal, but finding time to perform routine home circuit breaker maintenance is very important. 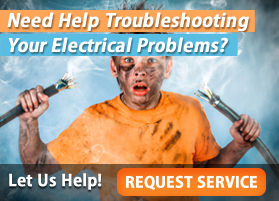 In fact, simply taking a few minutes each year to test and inspect your home’s electrical system control center can prevent several devastating electrical problems. The first thing you should remember about performing any home electrical maintenance is that safety needs to always be your first priority. In regards to circuit breaker maintenance, the key here is to remember that your circuit breakers should always be turned off at least once per year to ensure they are not in a stuck position. This also allows them to maintain a positive operating condition. Here are the steps to making sure to test your circuit breakers. First – Turn off all the electrical equipment on the specific circuits that are being tested. If you are testing circuit breakers, you should always attempt to shut off the power source of major appliances that are hooked up to the specific circuits. For example, if you are testing a circuit your refrigerator is connected to, make sure to pull the electrical plug or shut off power to the unit first. 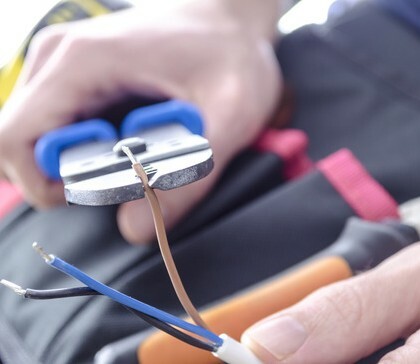 The reason for this is due to the fact that electrical items can sometimes have catastrophic damage due to sudden electrical shorts. The second step to testing electrical circuit breakers inside the home is to turn them on and off three consecutive times. The correct way to do this is to turn the breaker off, count to three, and then turn it on (repeat three times). 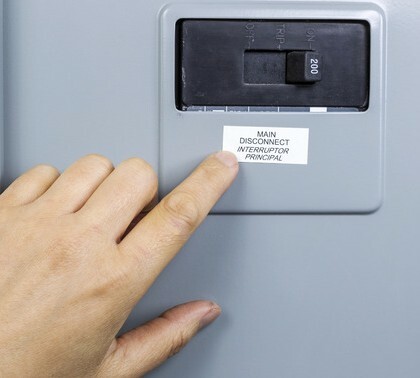 The final step in performing electrical circuit breaker maintenance is to make sure you plug in all major appliances that you disconnected in step one. It might seem silly, but many people forget to complete this step then wonder why their refrigerator isn’t working correctly. While you are testing your main circuit breakers, a smart idea is to also check your GFCI (Ground Fault Circuits) located in most bathrooms or kitchens as well. Here are the steps to completing this important routine maintenance program. Step #1: You’ll notice that on a GFCI outlet there are two buttons – a ‘Reset’ button and ‘Test’ button. Test the GFCI by pushing the “TEST” button. When you press the Test button the breaker handle should go to the middle or ‘OFF’ position if the GFCI is working correctly. Step #2: Reset the GFCI switch by making sure to put the switch into the full “OFF” position and then pressing the ‘Reset’ button so it returns to the ‘on’ setting. As you can see it’s rather simple to test both the GFCI and the Circuit Breakers inside your home. And by simply taking a few minutes each month or yearly to perform a little home circuit breaker maintenance, you’ll save a lot of money and stay on top of potentially expensive electrical repairs. Accel Electric provides various electrical services in both the residential and commercial setting across the Phoenix Valley. 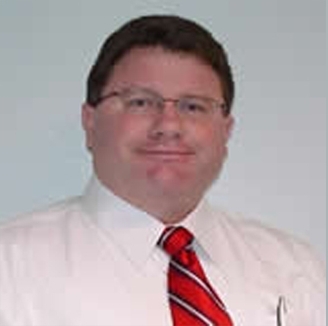 Accel Electric is a licensed, registered and insured electrical company that’s been providing services since 1991. 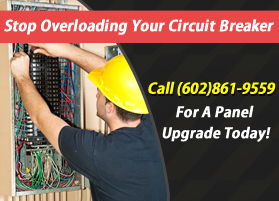 If you would like to learn more about the electrical services we offer call 602-861-9559 or contact us via email.